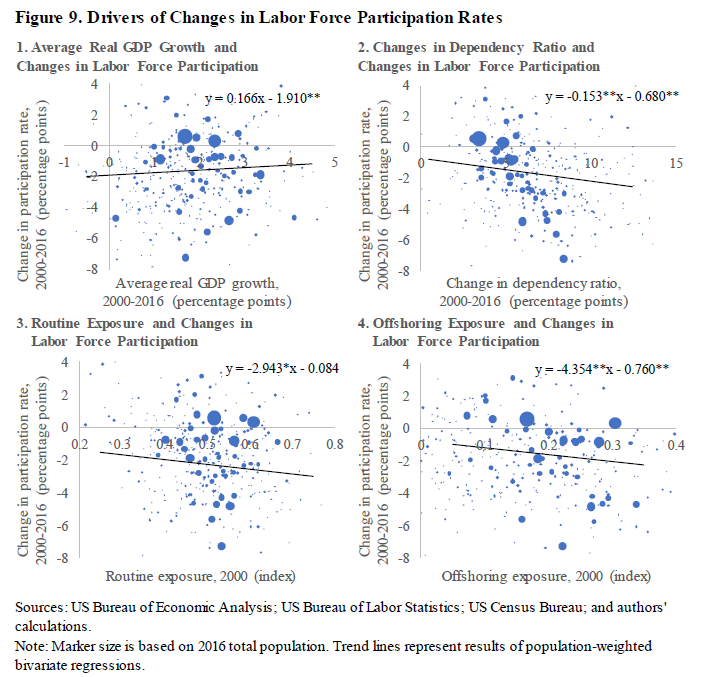 In a recent paper on labor mobility in the United States, Mai Dao, Davide Furceri and I show that the ability to migrate is not as immediate as previously supposed and has been weakening since the early 1990s. We also find that net mobility across states picks up during national recessions, this increase is driven more by a stronger population inflow into states that are doing better rather than stronger population outflow from states that are doing worse; the outflow occurs only toward the end of the recession. See my previous post here and my paper here.